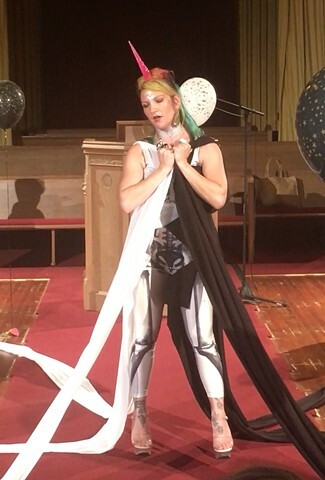 Baby Barbarella is a warrior workout queen that saves the universe through DADA poetry and song. She is, or course, a unicorn, a shamaness and a diva. She creates her actions and her artwork from the inspiration of 1960s happenings and always leaves the audience transformed in some way through participation and interaction.